As reported in Politico’s Morning Education today, the Department of Education will be pursuing yet another regulatory agenda in the coming year, to include rewrite (or remove) the state authorization rules, the credit hour rule, accreditation regulations, and the requirements for regular and substantive interaction with instructors in distance education programs. This action comes while Congress is still considering the reauthorization of Higher Education Act–including eliminating several of these regulations and prohibiting their future regulation, if Chairwoman of the House education committee Virginia Foxx gets her way. New America has weighed in on that legislative process with substantive recommendations and analysis on these and other issues. But it seems that Secretary DeVos has little faith in Republican Congressional leadership and has decided to move forward with her own plan. Of note, the Department has yet to complete an outstanding regulatory agenda on two other Obama era rules, Gainful Employment and Borrower Defense. With the addition of these topics to the regulatory slate, the message is clear: the Department’s main focus is no longer to improve access to high-quality postsecondary education, but to undo important protections for taxpayers, students, and their families. Stay tuned as the process moves forward; our team will continue to follow these issues closely and provide more analysis. For now, though, here’s a quick overview of what to expect from the upcoming rulemaking. Dating all the way back to the National Defense Education Act of 1958 (the precursor to the Higher Education Act of 1965), state authorization has been a fundamental requirement for institutions to receive federal higher education dollars—making access to taxpayer dollars predicated, in part, on a state’s affirmative approval of an institution. Yet, under the DeVos regime, this long-standing feature of state sovereignty may now be in jeopardy. In 2010, the Department bolstered the role of the states by ensuring that states’ approval of institutions be specific to higher education and that an institution’s students have access to a consumer complaint system—expanding a state’s ability to oversee its institutions. Given a growing new medium for the delivery of postsecondary programs online, the Department published a rule to address those programs in 2016. These regulations, which would otherwise go into effect on July 1, showed deference to states’ rights and ensure, for federal purposes, that institutions offering educational programs in any state cooperate with state rules for doing so, regardless of physical location. The distance education rules also recognize arrangements among states for approval through reciprocity agreements—an increasingly popular route for institutions to expand their programs to new states. 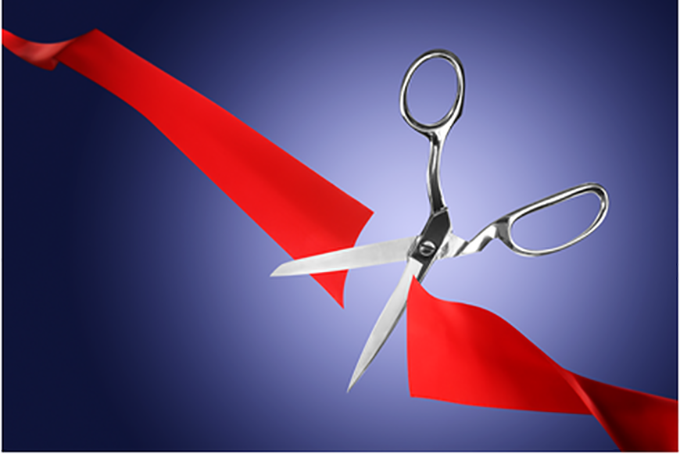 If Secretary DeVos plans to move forward with a negotiated rulemaking on this issue, it will mark the third rulemaking on state authorization in less than a decade. This is overkill, especially since institutions have managed to comply with the brick-and-mortar rules thus far and the distance-education community has simply asked for guidance on two administrative issues pertaining to the state authorization of distance education rule (see our letter to Department here). It’s perplexing that Secretary DeVos would use valuable public resources to re-regulate this issue now, especially when guidance would be an effective and less costly alternative. As such, it’s a regulatory action that is unnecessary at best, and negligent at worst. In an outcomes-focused world of federal financial aid, seat time and delivery model wouldn’t necessarily matter. But we don’t yet live in that world, so the credit hour definition serves as an important, albeit insufficient, buffer against fraud and abuse. While New America has long led the charge to “crack the credit hour,” pushing the federal government to allow federal dollars to go to high-quality, non-time-based programs through direct assessments and experiments, we are also aware of–and deeply concerned about—the risks of gutting the credit hour rule. Before 2010, the job of defining credit hours rested solely with colleges and their accreditors. But reports from the Inspector General (IG) of the Department of Education found insufficient oversight by three regional accreditors that accounted for seventy percent of all financial aid awarded. In one case cited by the IG, an institution granted nine credits for a 10-week course—far exceeding most colleges’ awarding of three credits for 15-week courses. Although the accreditor called the credit-awarding policy “egregious,” it approved them anyway, leaving students and taxpayers to foot the bill. But it is the Department’s job, not the accreditors’, to determine federal financial aid eligibility, including assessing how much aid should be paid out for a student’s courseload. When institutions inflate their credits, students and taxpayers are left holding the bag. Recognizing the potential scope of the problem, the Department created a definition of credit hour to both protect the integrity of the federal financial aid programs and allow for emerging non-time-based innovations in higher education. It does this by allowing for three distinct ways of defining a credit hour. The first effectively restates historic practice: Credits are awarded based on time—time spent in class and time spent on work. The second is “evidence of student achievement.” The third method is estimating the “amount of work represented” in achieving learning outcomes. Here the Department acknowledges that the amount of work spent learning and the time spent attending class aren’t the same thing, suggesting that traditional 15-week semesters can be translated into “the equivalent amount of work over a different amount of time.” Work was the Department’s middle ground between time—an easily measured but poor proxy for quality—and learning, which is difficult to measure but a truer indicator of quality. That definition, with its consideration both for time-based and learning-based measures, has worked for many institutions that have launched competency-based education (CBE) programs in recent years. And while there are some time-based barriers to CBE programs that the Administration may want to work with Congress to address, it is vital to maintain a rule that establishes a minimum standard for the amount of time and/or learning expected to represent a credit hour. The odd man out on the planned regulatory agenda might be accreditation regulations—in large part, because it’s not clear Secretary DeVos has much of an agenda at all around accreditation, aside from welcoming back ACICS, one of the most notoriously bad accrediting agencies in the field, to reapply last year as a “new” accrediting agency. And many of the regulatory standards accrediting agencies need to follow are actually taken straight from the statute, leaving limited wiggle room for the Department to relax the already-lax requirements. But here’s hoping the Secretary understands the scope of the problem—and acts on it. The current accreditation system, which oversees the quality of education at every federal financial aid-participating institution in the country, has seen some massive failures in recent years. Accreditors overpromise and underdeliver on their ability and willingness to promote institutional improvement; many of them fail to consider students’ outcomes in a serious way; and most of the accrediting agencies fight transparency and oversight tooth and nail. Any overhaul of the accreditation regulations should encourage agencies to focus their reviews and take serious action on poor-performing institutions; require greater transparency into how accreditors make their decisions; and hold agencies to high standards in the Department’s own recognition proceedings for accreditors. This may be the weediest of DeVos’ very weedy consumer protection rollback agenda, but one to absolutely pay attention to if you care about equity and innovation. The law requires that distance education programs have “regular and substantive interaction with the instructor;” those that don’t, are considered correspondence programs and subject to a host of limitations, including less federal financial aid. For the past few years there has been a robust, if niche, conversation about whether or how to update requirements for “regular and substantive interaction” with instructors for CBE programs. This issue broke into more mainstream higher ed news in September of last year when the Department of Education’s Office of Inspector General (IG) found that the bipartisan poster child for innovation, Western Governors University (WGU), did not provide students with this kind of “regular and substantive” interaction and, therefore, had been providing “correspondence education.” The implications of this were significant–the IG recommended that WGU no longer be able to provide its nearly 100,000 students with federal financial aid, and that it repay over $700 million in federal aid it had already received. Although there is no chance that the Department of Education will accept the IG’s findings for WGU, the audit significantly elevated the issue. And while New America has considered ways to thoughtfully renvision the regular and substantive interaction requirement for high-quality CBE programs, it seems more likely Secretary DeVos will water down this requirement for all distance education programs, rather than carefully update it. As tempting as it may be to just throw out the regular and substantive requirement, we have to remember what led Congress to write the law in the first place and preserve those goals. It was a response to rampant fraud and abuse stemming from the increase in correspondence programs in the 1980s and 1990s, which came just a decade after rampant abuse in correspondence or “home study” programs aimed at veterans fresh from the Vietnam War and flush with GI Bill dollars. These programs promised flexible options for working adults, but the availability of federal dollars—with no strings attached to student outcomes for the institutions—proved too tempting for unscrupulous providers to resist. Students were sold a bill of goods that left them with an education of little value. To reduce the risk of abuse and to make sure that students weren’t simply left to “learn on their own,” Congress limited the amount of aid available to correspondence programs. So they created a definition of correspondence education in 1992, which said that correspondence programs had students separated from the instructor; were usually self-paced; and had limited interaction between students and the instructors that was primarily initiated by the student and wasn’t regular and substantive. Since competency-based educational (CBE) programs share some—but not necessarily all—of these characteristics, the CBE community has been grappling with how to keep the intent of the law, while accounting for new faculty models that support student learning and a high-qualityeducation driven by outcomes. It’s not an easy balance to strike. And even if the CBE community agreed on how to proceed, it’s unclear whether the Department can (or would) regulate on regular and substantive interaction just for CBE programs, as opposed to all distance education programs. Unlike the CBE community, the distance ed community has not grappled with what revised definition that would also ensure quality would look like, and there wouldn’t be much incentive to heighten the already-low standards. Instead, the Department should help learn more about smart ways to revise the regular and substantive interaction definition for CBE programs through its experiments—where it’s currently learning next-to-nothing about how those programs are even meeting the requirement now, or how they’d plan to change their models. A full rewrite without that information will no doubt wind up as little more than a giveaway of taxpayer dollars to low-quality distance education programs that harm students under the banner of innovation. And it risks turning the highly bipartisan issue of promoting high-quality competency-based education into a highly partisan one.